Micro stapler. Loads 50 staples #10 to bind up to 10 sheets. Overall length: 58mm, throat depth: 29mm. 50g only. 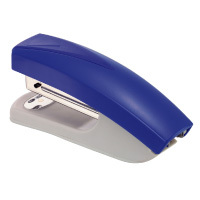 Standard stapler built-in staple remover. Loads up to 50 staples #10 to bind up to 10 sheets, also tack. Overall length: 95mm, throat depth: 50mm. Wine Red, Blue or Black. 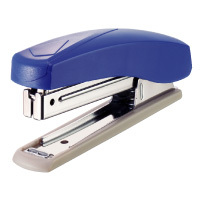 Stapler 10 + 1000 staples #10. Blister carded. Blue only. 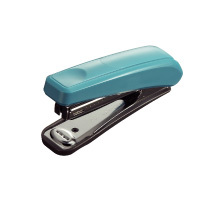 Compact stapler. Yet hardened anvil enables you to bind 20 sheets with less effort. Open channel loading of 50 staples #10. Opens for tacking. 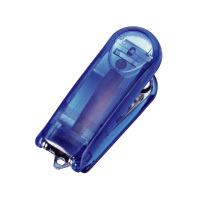 Staple supply indicator and built-in staple remover. Overall length: 95mm, throat depth: 56mm. Pink, blue or white. 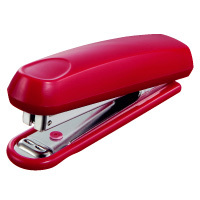 Stapler 20 + 1000 staples #10. Blister carded. Blue only. Blister carded. 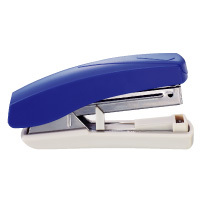 Handy compact stapler with open channel loading, staple supply indicator and built-in staple remover. Loads up to 100 staples #10 to bind up to 10 sheets. 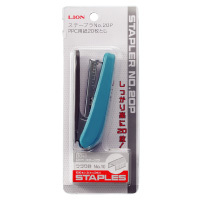 Includes 1000 staples #10. ABS plastic body in blue. Overall length: 105mm, throat depth: 55mm. Blister carded. Open channel loading takes 100 staples #24/6 or 105 staples #26/6 to bind up to 20 sheets. Rotating anvil for stapling or pinning. Overall length: 137mm, throat depth: 55mm. ABS plastic body plus PP top in blue. Blister carded. 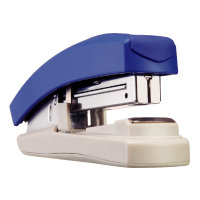 Handy compact stapler with open channel loading, staple supply indicator and built-in staple remover. Loads up to 100 staples #10 to bind up to 10 sheets. 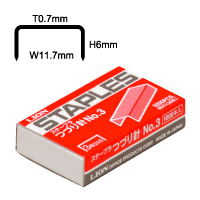 Includes 1000 staples #10. Overall length: 106mm, throat depth: 43mm. ABS plastic body in blue. Blister carded. Open channel loading takes 100 staples #24/6 or 105 staples #26/6. Binds up to 20 sheets. Overall length: 145mm, throat depth: 55mm. ABS plastic body plus PP top in blue. Blister carded. 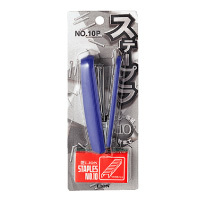 No.10 staple. Width 8.5 x Height 4.8 x Thickness 0.5mm. 1,000 staples (50 staples x 20 pcs.)/box. 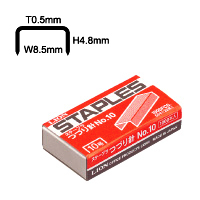 No.3 (24/6) staple. Width 11.7 x Height 6 x Thickness 0.7mm. 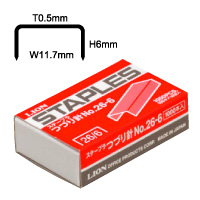 No.3 (24/10) staple. Width 11.7 x Height 10 x Thickness 0.7mm. 1,000 staples (50 staples x 40 pcs.)/box. 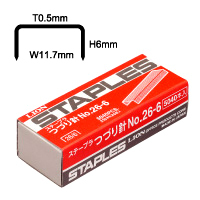 No.26-6 staple. Width 11.7 x Height 6 x Thickness 0.5mm. 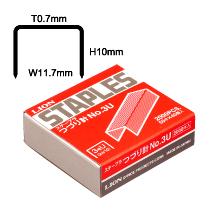 1,000 staples (100 staples x 10 pcs.)/box. 5,016 staples (209 staples x 24 pcs. )/box.